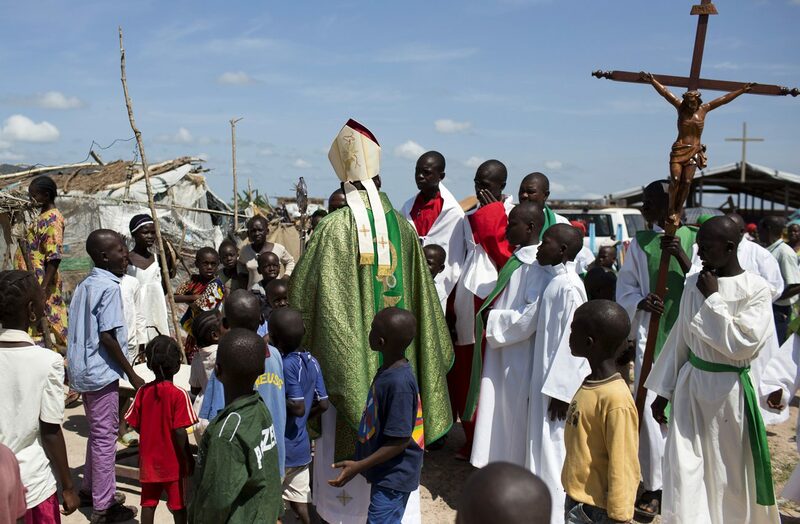 NAIROBI, Kenya (CNS) – Catholic bishops in the Central African Republic have distanced themselves from a group that is promising to defend the church and avenge the deaths of priests. “We demand respect of the memory of priests, women and men killed in the exercise of their commitment to following Christ. They are worthy and faithful to our church and nation, which has always longed for peace,” said Cardinal Nzapalainga, president of the Central African Republic bishops’ conference. In a statement in mid-July, the cardinal said the Catholic Church’s commitment to justice and unity, in collaboration with other religious denominations, exposed the church to all kinds of threats and attacks. “Priests and pastors are routinely murdered in full view of everyone,” Francois Nzapakeye, the group’s spokesman, said in a statement that listed priests and pastors killed recently in the country. He noted that no imam has been killed in Bangui since the start of the violence. “We will avenge the murders of many church leaders and men of God killed in the line of duty,” he said.